Russell S. Winer is the William Joyce Professor of Marketing at the Stern School of Business, New York University. He currently serves as the Deputy Chair of the Marketing Department. He received a B.A. in Economics from Union College and an M.S. and Ph.D. in Industrial Administration from Carnegie Mellon University. He has been on the faculties of Columbia and Vanderbilt universities and the University of California at Berkeley. He has written three books, Marketing Management, Analysis for Marketing Planning and Product Management, a research monograph, Pricing, and has co-edited The History of Marketing Science. He has authored over 80 papers in marketing on a variety of topics including consumer choice, marketing research methodology, marketing planning, advertising, and pricing. Professor Winer has served two terms as the editor of the Journal of Marketing Research, is Editor Emeritus of the Journal of Interactive Marketing, has been a Senior Editor for Marketing Science and the International Journal of Research in Marketing, and is currently an Associate Editor of the Journal of Consumer Research. He is a past Executive Director of the Marketing Science Institute in Cambridge, Massachusetts. 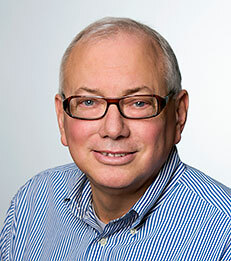 Professor Winer is a founding Fellow of both the INFORMS Society for Marketing Science and the American Marketing Association and is the 2011 recipient of the American Marketing Association/Irwin/McGraw-Hill Distinguished Marketing Educator award.